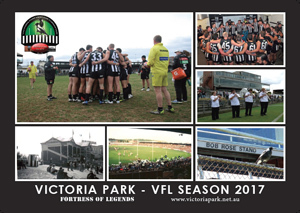 After farewelling Victoria Park back in 1999, Collingwood had spent the next three seasons using the famous venue as a training ground. As the years rolled by, the ground’s condition worsened, and the club made a decision to move away from the stadium, to the new Lexus Centre. And while no one was unhappy with the idea of training at a world class venue, it was still sad to know that a ground so many people had grown up at would now be turned into housing. 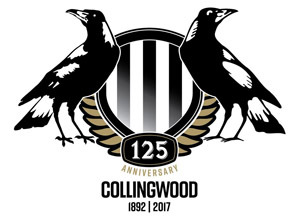 In season 2002, Collingwood, after seven years in the football wilderness, stepped back into finals action after a terrific season. Senior players such as Buckley, Burns, Rocca and Licuria were firing and young guns Lonie, Davis, Fraser and Scotland were stepping up to the fore. The turnstiles clicked all over the nation as people flocked to grounds everywhere to see the Magpie Machine in action. Membership was up, as were attendances, as the Pies charged towards the finals for the first time since 1994. After an unexpected victory over the fragile Port Adelaide, and a crushing win over the Crows two weeks later, the Collingwood bandwagon was in full swing, with newspapers filled with stories and photos of Magpie players and Victorian Premier Steve Bracks calling for all of the state to get behind the Pies. After a solid turnout at the training session prior to the preliminary final against Adelaide, the Magpie army was in full swing for the Grand Final, with a crowd of ___ swarming in to see the Pies before the Grand Final. The carparks were packed, and the roads jammed, as people of all ages came in to the ground to see the Pies. The trains were packed, and the streets packed full of cars, with barely any space near the ground. When I arrived, we parked our car about five or seven streets away, along with many other supporters, with about half an hour before training commenced. We made the trip across the Eastern Freeway overpass, as the ground got nearer and nearer. Finally, we arrived at the magnificent ground, with hotdog stands doing a roaring trade, people singing the club theme song, and AFL Grand Final Record being sold outside the ground. The ground was bathed in sunshine as we walked through the gates once more – to a massive roar of the large crowd. We made our way around the R.T Rush Stand, with many other supporters around us. We soon settled on the southern side of the stadium, along the wing. Eddie McGuire was marching around the ground, with the chant of ‘Eddie, Eddie, Eddie’ echoing through the stadium. 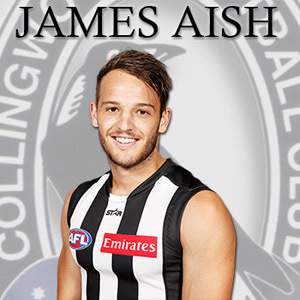 Then, finally, the players emerged, led by Jason Cloke, who earlier in the week was suspended for two weeks by the AFL tribunal for striking – despite an emotional appeal that night. After Cloke, came skipper Buckley and experienced heads such as Betheras and Rocca. The rest of the squad then emerged, to the massive roar of the crowd. Children jumped the fence, and sat on the boundary line before being sent off by security. The team began the session with a lap of the oval, to the enormous roar of the Magpie supporters. As the session went on, it became apparent that emergency Mark Richardson was no chance to be a late selection for Jason Cloke, as he struggled with a thigh injury. In the outer, the tune of ‘Good Old Collingwood Forever’ boomed around the stadium, as supporters reminisced about old times. It was a magnificent day, a much better farewell to the ground compared to the last official game there in 1999, when on a wet and cold Melbourne day, the Pies were destroyed by the Preliminary Final bound Lions. As the players left the ground for the final time for the season, supporters swarmed onto the ground to get a last minute look at the players, or to play kick-to-kick with their friends and family. Outside the ground, the merchandise stands were emptying by the minute as supporters grabbed anything Black and White. Supporters and media cued outside the club door, awaiting the players’ appearance. Finally, Neil Balme emerged, followed by rookie Justin Crow. I managed to get Crow’s autograph, before escaping from the scrum, and walking back to the car. I was a truly fantastic day – which took supporters back to the old days, with Victoria Park packed with supporters, watching the Pies go through their paces. While it is terrific that we are moving on to the magnificent Lexus Centre, there is a feeling of emptiness and sadness about the move from old Vic Park. And while our training base will be at Lexus, and our playing home ground the MCG, our spiritual home is, was, and always will be Victoria Park.